A limited number of autographed copies available here! two-time Heisman Trophy winner, Archie Griffin! *** Default shipping is Economy. To change to Priority, please click on "economy" at checkout to select another option! 2018 International Book Awards. It was also recognized as a finalist in the "Best Interior Design" category! Check back soon to see what's scheduled! fit into Ohio State football history? about his neighborhood trash collector? his very first play for Ohio State? These are just some of the fascinating anecdotes you’ll enjoy in this collection of stories from the archives of Ohio State history. Sometimes uncanny but always delightful, these tales will entertain all readers! The Ohio State Football narrative overflows with impressive statistics, scores and superstars. But peel back the curtain of what’s in the media, and you find a treasury of inspiring, funny and even peculiar stories not found in the headlines. This is a book of those stories. It’s the first book of its kind, one that showcases the “human” side of the Scarlet and Gray. Games are won and lost at the line of scrimmage, but it’s the people and their stories that are the golden threads that give the Ohio State heritage its rich luster. Each chapter highlights a coaching era led by one of the preeminent architects, including John Wilce, Paul Brown, Woody Hayes, and Jim Tressel. Read about players, coaches, fans, students, administrators, politicians, sportscasters and a myriad of others whose poignant perspectives, joyful celebrations and heartwarming experiences all spring from their connection to the Ohio State gridiron. Laugh over hilarious pranks, oddball coincidences and bizarre game day situations. Feast your eyes on the beautiful pictures and illustrations that make these stories come to life. Be inspired with how people overcame impossible odds and obstacles. But most of all, be proud to be a Buckeye fan, part of a remarkable and robust football culture. Co-authors Jack Park and Maureen Zappala create a unique, if not uncanny partnership of an Ohio State grad and a Notre Dame grad. They met in 2015 through the National Speakers Association, and developed a friendship based on mutual love of both professional speaking and college football. This collaborative book was Jack’s idea. With his vast Ohio State knowledge and Maureen’s writing and internet scouring skills, they embarked on a delightful two year journey of researching, interviewing, writing and rewriting to produce this fine compilation of some very cool Buckeye stories. Jack has presented his award-winning program, The Leadership Secrets of Football’s Master Coaches, to clients in 47 different states. He speaks to Ohio State University Alumni Clubs across the country. He's a Certified Speaking Professional, an honor earned by fewer than 19% of the 3600 members of the National Speakers Association. 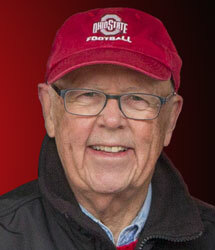 Jack is an Ohio State Football radio commentator for Sports Radio 97.1 The Fan in Columbus, an ESPN station. He is the author of The Ohio State University Football Vault with Foreword by Jim Tressel and Afterword by Archie Griffin, and The Official Ohio State Football Encyclopedia with Foreword by Kirk Herbstreit. Jack writes a weekly football column for The Columbus Dispatch. He is featured frequently in football programming on ESPN, The Big Ten Network, and TWC. Jack is a CPA. He received his MBA from The University of Pittsburgh and his BS from The Ohio State University. He's a member of The Football Writers Association of America. He lives in Columbus, Ohio. 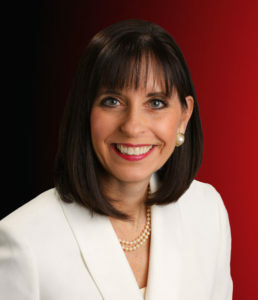 Maureen is an award-winning speaker, author and presentation coach. She has a BS in Mechanical Engineering from the University of Notre Dame and spent 13 years conducting jet engine research at NASA in Cleveland, Ohio. She’s the founder of High Altitude Strategies, a speaking and coaching organization. She speaks on the Impostor Syndrome and teaches people how to match their confidence with their competence in order to have more influence. In 2009, she was in the top 10 of 30,000 contestants in the Toastmasters International World Champion of Public Speaking contest. She’s the author of “Great Speakers are Not Born. They’re Built.” She’s is the 2017-18 President of the Ohio chapter of the National Speakers Association. Maureen lives in Medina, Ohio. 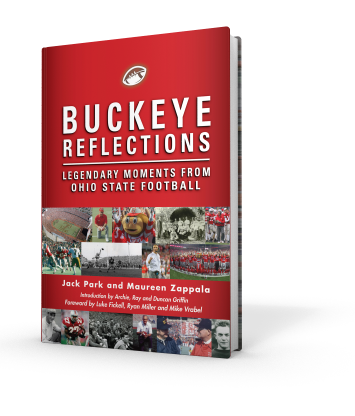 scheduled book signings with authors Jack Park and Maureen Zappala, and special events for Buckeye fans! BONUS! We'll send you CHAPTER ONE after you sign up!